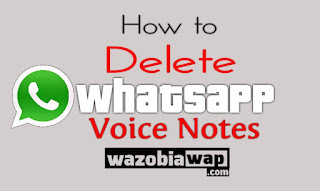 Good Day and welcome to wazobiawap.com, Today I will be tutoring you on how to delete whatsapp voice notes on Android, which is also known as whatsapp voice messages. If you are using whatsapp and you are also in whatsapp groups. You will be receiving voice notes or voice messages often. 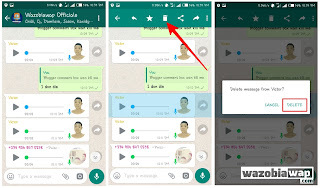 Whatsapp Automatically downloads and stores voice notes or messages to you smartphone’s internal memory. This will later occupy your Android internal memory space, thereby causing your smartphone to hang, lag or perform very slow. 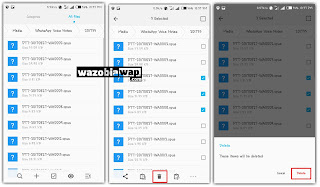 In my previous article, I discussed how to Prevent WhatsApp Automatic Download of Photos and Videos. 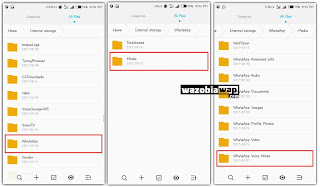 So the below steps will show you how to delete whatsapp voice notes or messages on Android, either one by one or to delete all whatsapp voice notes at once. 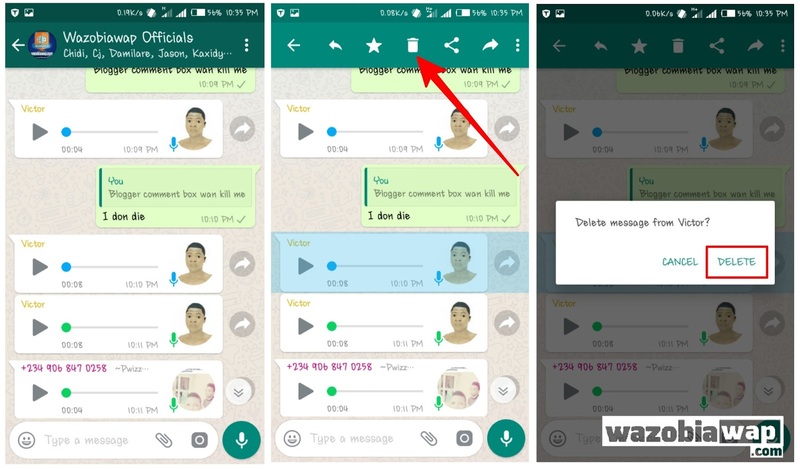 You may have deleted the whatsapp voice notes using this method, by tapping and holding on the Received/Sent and then delete. 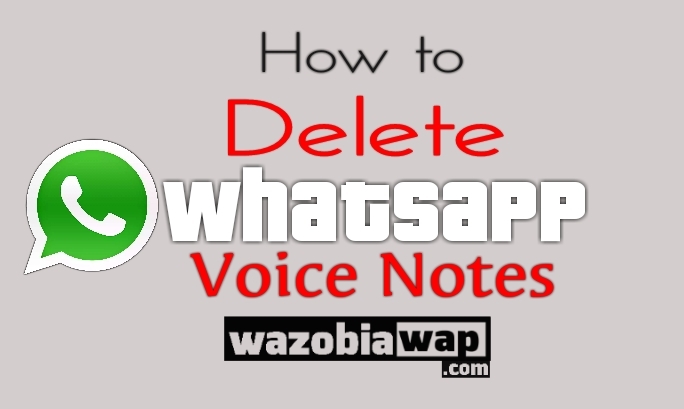 Kindly Delete the Whatsapp Voice Notes Folder if you want want to delete all at once. 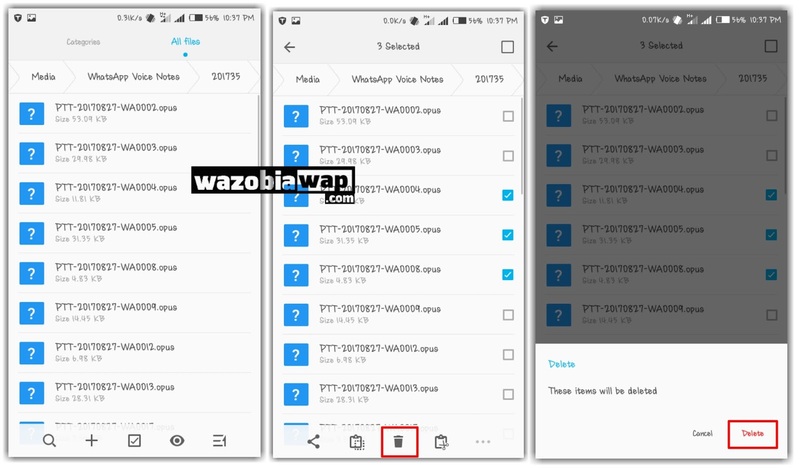 That's all you need to know on how to delete whatsapp voice notes or messages on Android, this process may also work on iOS Smartphones. 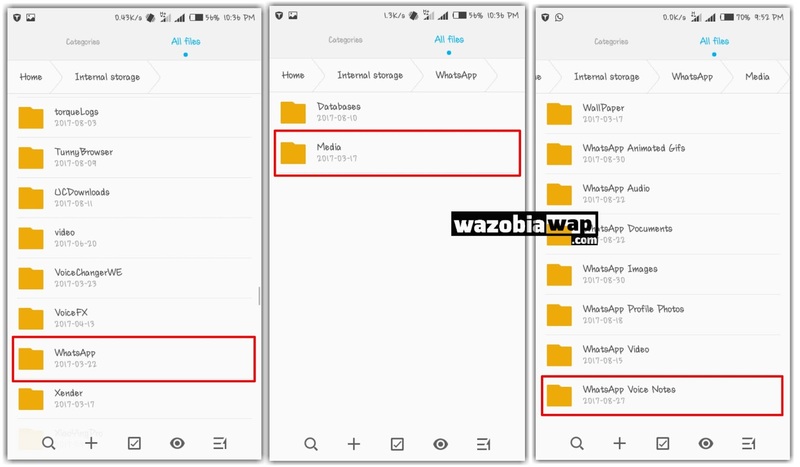 You can also use this method to delete sent and received whatsapp images and videos.